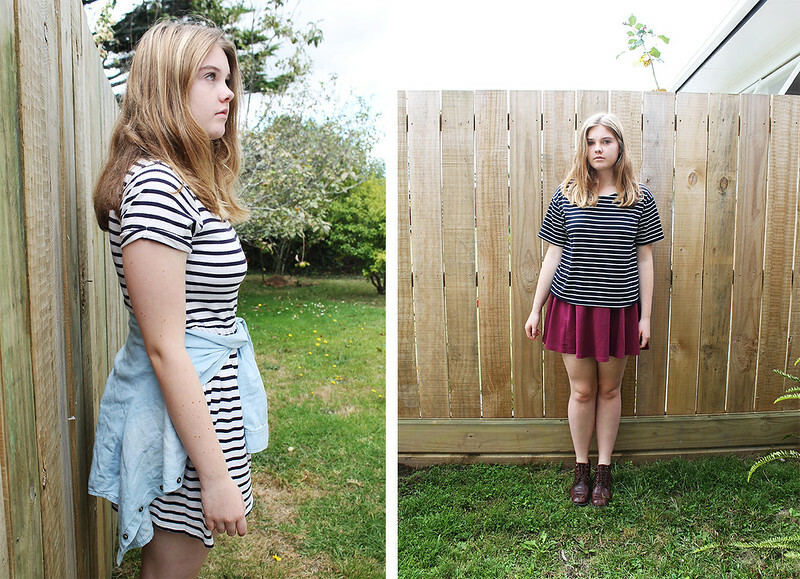 Four ways to wear stripes | emma etc. One. Pop on a simple black skater skirt with a slouchy cropped striped jumper like this one from Dotti. Add a little black bag for an effortless and timeless look you can wear just about anywhere. Two. 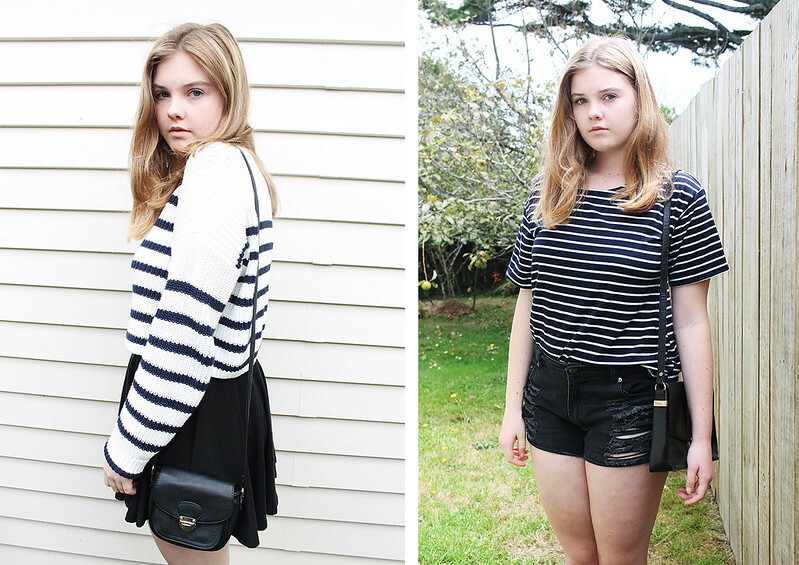 Tuck a simple striped tee into a pair of black shorts. I've gone for the ripped variety as it adds a bit of contrast to the top. Add a simple black bag again and you've got a winner that is easy to pop out in. First outfit: Dotti Cropped Jumper / Factorie Skirt / Warehouse Bag. Second outfit: Dotti Tee / Supre Shorts / Vintage Bag. Three. When wearing a striped dress, add a bit of interest with tying a light-wash denim jacket or shirt around your waist and add sandals for a perfect summer day outfit. Four. Leave your striped top over a simple skater skirt of a coloured variety. I've opted for a burgundy coloured one which compliments the black leather boots I've worn. Pop on a cardigan and tights for an easy transitional outfit from summer to autumn. First outfit: Cotton On Dress / Valleygirl Denim Shirt. Second outfit: Dotti Tee / Cotton On Skirt / Vintage Boots.